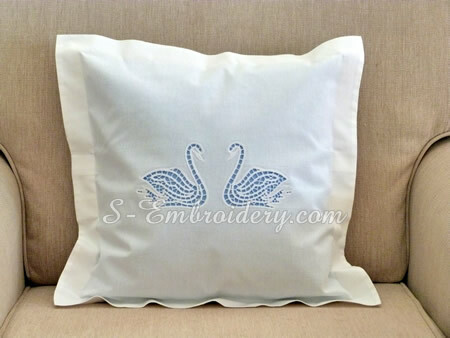 An elegant swan cutwork lace machine embroidery design. 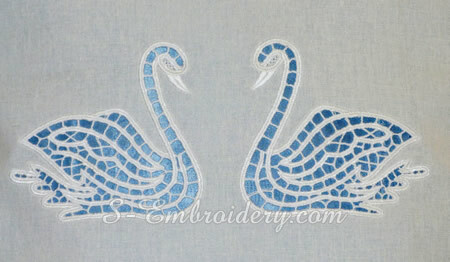 The set includes 2 identical swan cutwork embroideries (the second is a mirrored version of the first one). You receive 2 machine embroidery files in one of the supported formats and 2 PDF files with design information and instructions for creating cutwork lace embroideries. Note: If you are new to cutwork lace machine embroidery you may want to have a look at our cutwork lace tutorial.